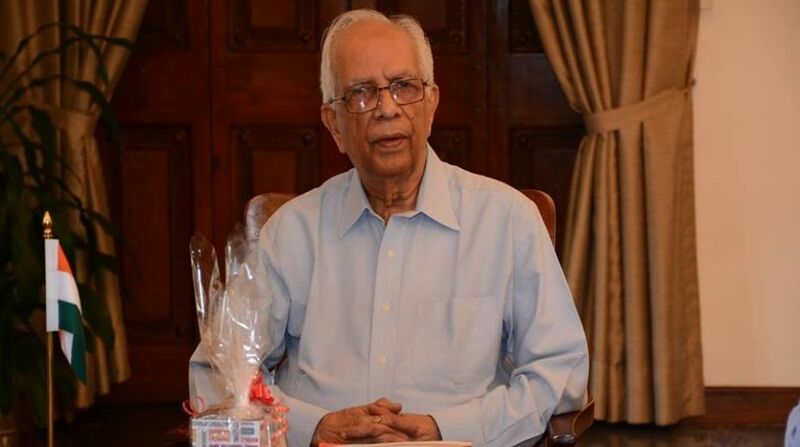 Amidst reports of violence and allegations of harassment during the nomination process, State Election Commissioner AK Singh on Wednesday met Governor Keshari Nath Tripathi and reportedly apprised him of the requirement of Central forces to conduct the rural polls. Earlier, Mr Tripathi, who had summoned state chief secretary Moloy De and home secretary Atri Bhattacharya to Raj Bhawan, expressed his concern over the rising incidents of violence and asked them to take preventive measures. Mr Tripathi is learnt to have questioned as to why there were so many incidents of violence and reportedly advised them to ask for central forces if the state forces were unable to tackle the situation. The state government, however, has ruled out deploying central forces on the ground that the existing state forces are adequate to ensure security during the polls. “I have informed the Governor about the nomination process and issues pertaining to the upcoming panchayat elections. Mr Tripathi is happy with our poll preparations,” Mr Singh said after the meeting in Raj Bhawan. On asked whether deployment of central forces was taken up at the meeting, Mr Singh said: “Yes, the issue was discussed.” According to sources, Mr Tripathi inquired about the poll preparations and the measures that are to be taken for holding free and fair elections. Again, the approximate number of forces that are to be deployed was also discussed, said a source. Mr Tripathi was reportedly advised by Mr Tripathi to take up the issue of deployment of adequate forces with the state government so as to hold the polls peacefully. Sources said SEC is writing a letter to the state government pointing out the need for deployment of central forces. According to the central force requisition norms, the state government forwards the SEC’s letter for force requirement to the Centre and in turn asks for the requisite number of central forces. In this case, however, the situation is completely different as Bengal government is not in favour of central forces. “Our state forces are adequate and capable of ensuring law and order so that free and fair polls can be held,” said ADG law and order Anuj Sharma during a press conference in Nabanna later. Ruling out allegations of harassment by the Opposition parties, Mr Sharma said the SPs have been directed to take necessary measures so that all political parties are able to file nominations. In violence-hit areas, state government is taking necessary legal action, he said. According to data available from the state home department in the last four days, 1,041 arrest warrants were issued, 818 specific arrest cases, 20 arms and 30 ammunition seized and 8,300 litres of illicit liquor seized. It may be mentioned here that there are around 1.10 lakh state forces in Bengal of which 92,000 are effective. Among this, 56,000 can be spared for the polls as the remaining have to be deployed at the respective police stations.